Graphics-tech specialist Nvidia has uploaded a video featuring Capcom's highly-anticipated Resident Evil 2 remake running on PC, in 4K and at 60FPS. The quality will hopefully bring the reality of spilling intestines and shattered skulls right into your (un)living room. 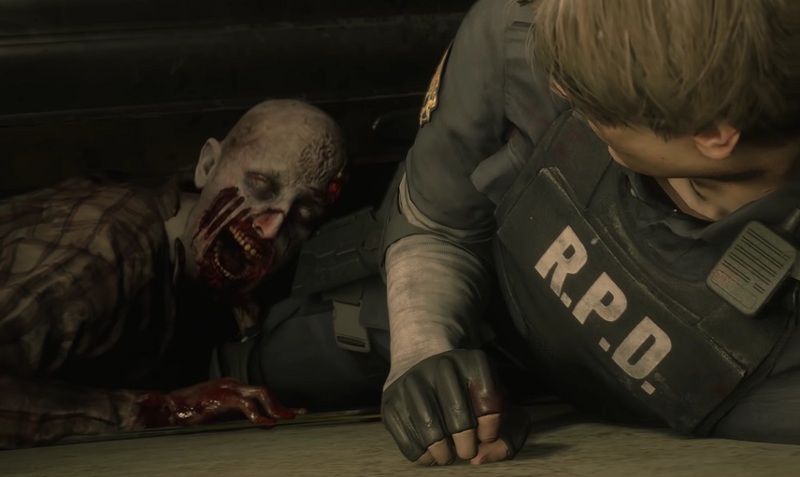 The video, which runs just under five minutes, doesn't show much that we haven't already seen, with newly-transferred cop Leon Kennedy arriving at the Raccoon City Police Department for pretty much the worst first day ever. Regardless, Resident Evil 2 for PC is looking pretty darn amazing, although no mention is made on the power of the rig pumping out this footage. I think my own humble PC, although not to be sniffed at, might splutter a little at these levels. Resident Evil 2 launches on PS4, PC and Xbox One in January 2019.